YES, IT’S ALMOST that time of year again… Eurovision time. 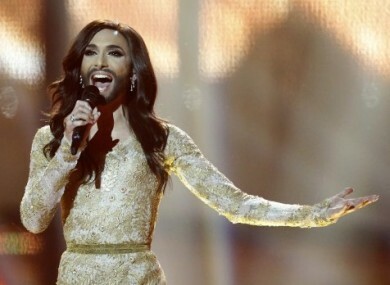 This year’s contest will take place in Vienna, Austria, the home of last year’s glorious winner Conchita Wurst, on Saturday May 23. In a departure from last year’s mentor format, Eurovision put out a call back in October for singers and songwriters, receiving over 300 entries. These have now been whittled down to a shortlist of five newcomers from an unusually broad range of genres. Ireland could be represented by a rapper this year, folks! And 16-year-old Molly Sterling from Nenagh, Co Tipperary, with her song about “the risks people take every day in love and life”, Playing With Numbers. The five songs will be debuted on The Ray D’Arcy show on RTÉ One today at 3pm – the winning entry will be decided by a combination of a public and jury vote, and announced on The Late Late Show on February 27. Email “Here are Ireland's five hopefuls for Eurovision 2015”. Feedback on “Here are Ireland's five hopefuls for Eurovision 2015”.